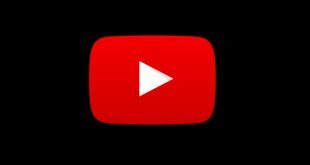 If you are YouTube power user, then you might have seen this new layout a few months, when it was still in beta and available for few selected users. 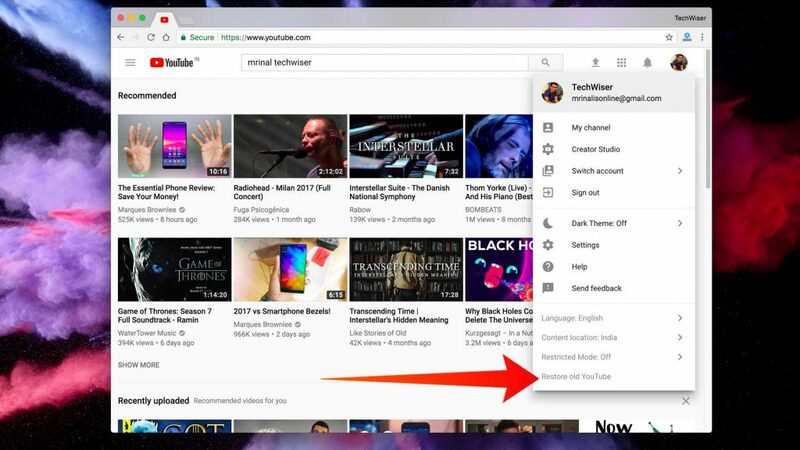 However, today YouTube has launched a new desktop Material Design interface for everyone. 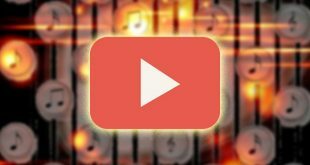 So, for any reason, you don’t like the new YouTube layout, and want to go back to the old YouTube layout, then here is how to do that. Click on your user icon in the top right corner. Click on “Restore old YouTube”. Provide a reason why you’re going back. And that’s it, YouTube will revert back to old layout. Although it’s working fine, for now, we are not sure how long this will last. 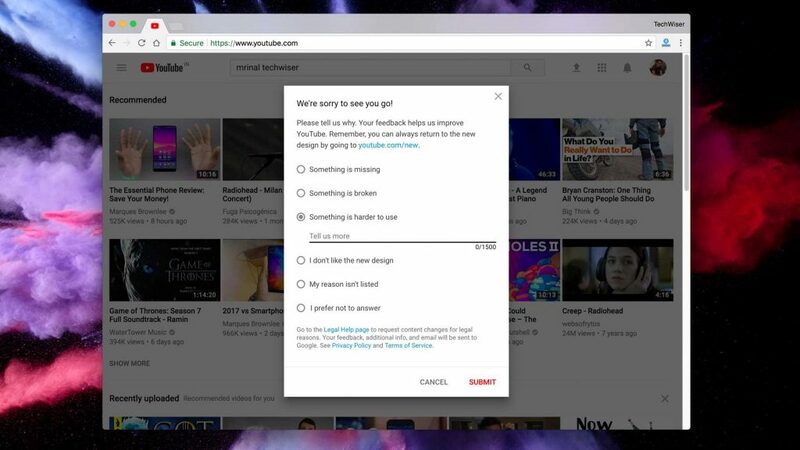 If not many people opt-out of this new YouTube interface, they will probably force everyone to use new layout, whether you like it not. Next SmartDNS vs VPN – What’s the Difference?